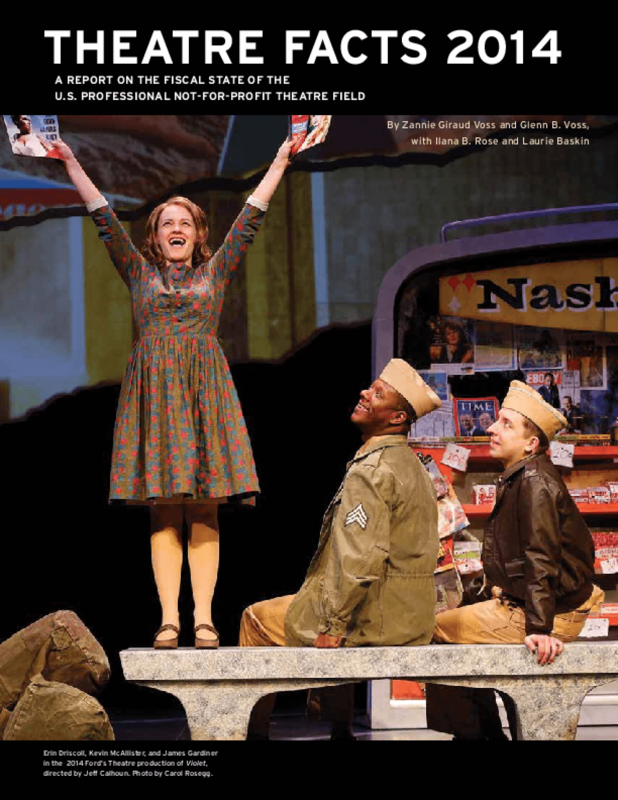 The "Universe" section provides a broad overview of the U.S. not-for-profit professional theatre field in 2014. The "Trend Theatres" section presents a longitudinal analysis of the 118 TCG Member Theatres that responded to the TCG Fiscal Survey each year since 2010. This section provides interesting insights regarding longer-term trends experienced by a smaller sample of mostly larger theatres. The "Profiled Theatres" section provides an in-depth examination of all 177 Member Theatres that completed TCG Fiscal Survey 2014. Copyright 2015 Theatre Communications Group.